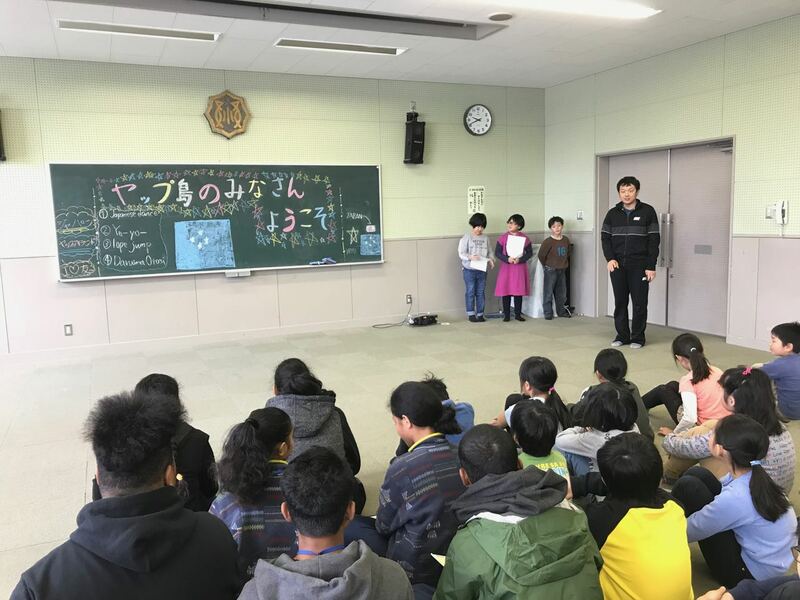 In the morning, the Yapese students visited Yabukami primary school and learned Japanese traditional games and calligraphy from the school children. The Yapese students had an opportunity to give a presentation about Yap to the students and enjoyed school lunch for the first time. 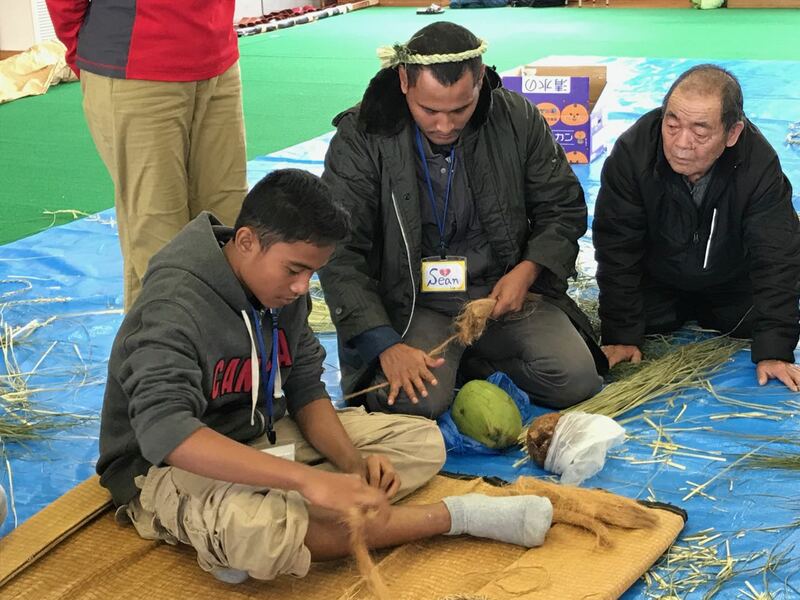 In the afternoon, the Yapese students experienced Japanese traditional rope making and handicrafts with straws. Since Yap has similar tradition to make ropes, they did well. They had opportunities to introduce Yapese culture such as making ropes with the fiber of coconuts, as well as splitting coconuts. After the fruitful day, the Yapese students left for another homestay in Niigata.